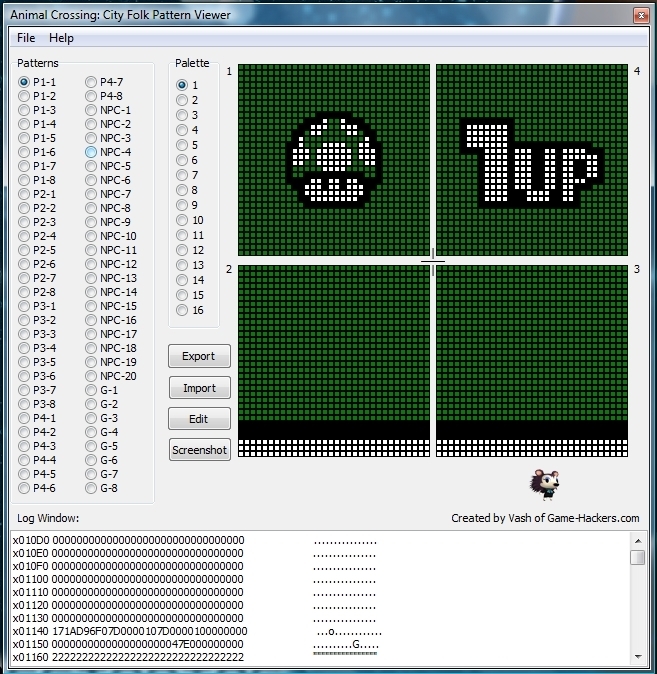 PattView, made by Vash of Game-Hackers.com, is a pattern viewing tool for Animal Crossing: City Folk. It supports decrypted save files (RVFOREST.DAT). These can be obtained using Waninkoko’s Savegame Extractor and can be re-installed by using the Savegame Installer. Download the latest version of PattView here or this mirror. When you first open the program it tells you to open your save. So find your RVFOREST.DAT save you get from the save game extractor homebrew app and click on “open”. You will see a screen like this where you can choose any of the 60 patterns in the game. You can choose to edit, take a screenshot, export, and import. When editing patterns remember that the section you choose you will affect a certain area of the clothing. This picture helps you understand what part of the clothing your editing when you choose section 1, 2, 3, or 4. 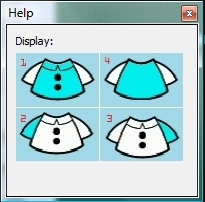 In the picture below I am editing the front/chest of the clothing which is section 1. Clicking on section fill will make the section turn completely one color. Pick the color before clicking on “Section Fill”. 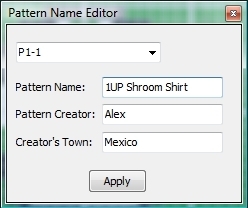 When you click on “Name Editor” you can choose to edit the name of the pattern, creator, and creator’s town. When you are done editing the pattern click on “Update”. The purpose of taking a screenshot is letting other pattview users know how your pattern looks like or showing off your pattern to other people. When you click on it an image will be saved to wherever your pattview folder is. 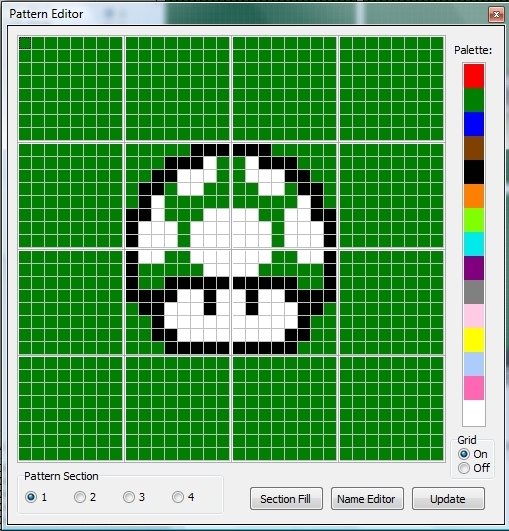 Exporting patterns lets you import the current pattern your clicking on. This lets you share your patterns with PattView users worldwide. Clicking on “Import” will let you install a pattern you have saved. So when you download patterns, you click on Import and the pattern that you have chosen will take the place of the slot you clicked on before importing. 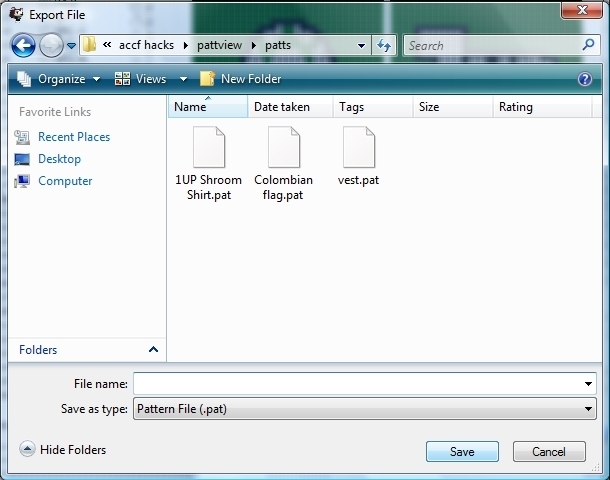 Download a huge pack of patterns for AC:CF on the main AC:CF Hacks page.